EPRI Nuclear Chemistry Conference in San Francisco | Chemtrac, Inc. 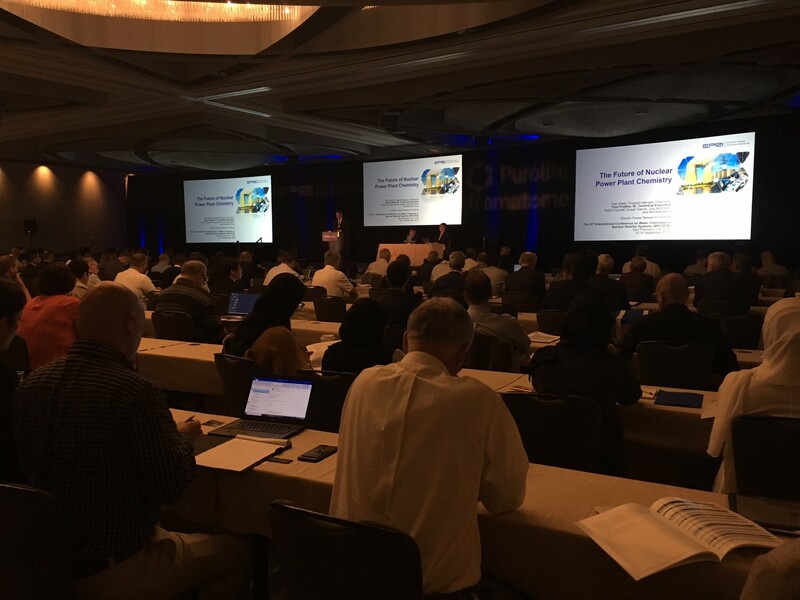 Approximately 250 utility professionals, scientists, engineers, and researchers from throughout the world gathered to discuss the latest technology for water chemistry monitoring and control in nuclear power plants. Chemtrac offered demonstrations of the PC4400 on-line particle counter and the PC5000 portable grab sample particle counter. The particle counters are used for corrosion product transport monitoring in the condensate/feedwater system. This is especially valuable to nuclear power generating stations during plant start-ups following an outage (planned or unplanned). It is imperative that condensate/feedwater has minimal soluble iron, and insoluble iron oxides in the steam generators to avoid deposition, corrosion, and subsequent failures.